Bellingham, Washington is pretty much the happiest place on Earth. Anyone you meet from the tiny Northwest town will confirm that moving there was the best decision of their life. B-Ham is full of Bernie-supporting, Kombucha-drinking, Birkenstock-wearing happy hippies. And tucked away in this liberal haven is the young Boardworks Tech Shop. 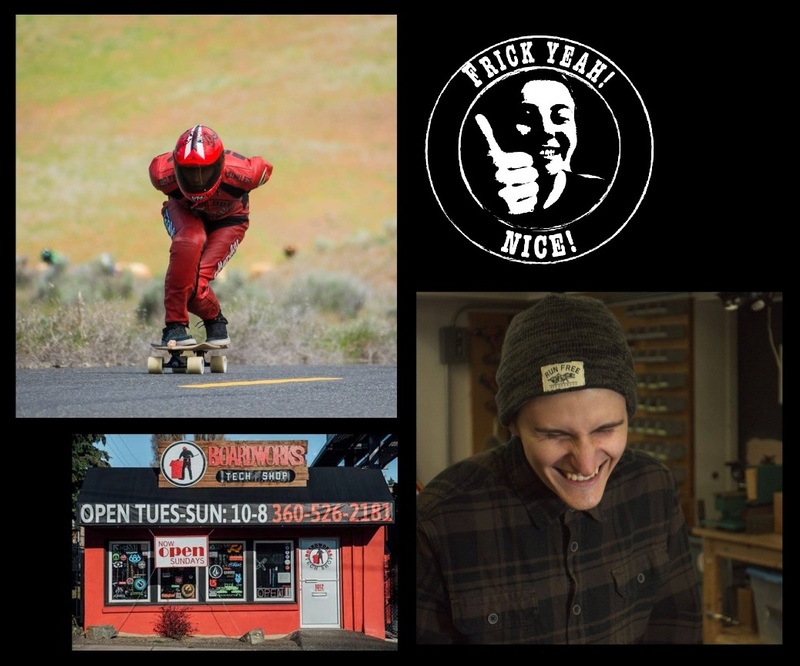 Although the small Boardworks shop is easily mistaken for one of the espresso huts that line the PNW streets, it’s proven itself to be a pretty great spot. After a two hour drive up to B-Ham, I was nervous to step into Boardworks. The last time I checked out a shop for a spotlight article (back in the February issue), I found myself in the middle of a hostile standoff, trapped between a paranoid store owner and his illicit business partner. So when I walked into Boardworks, I was relieved to be greeted by a young friendly face. Nate Braks, the young dude manning the shop, was eager to find out what I was looking for. Clockwise from lower right: Nate hard at work; the storefront; Nate, geared up to get down; Claudia’s seal of approval. Although they have their fair share of conventional skateboards, Boardworks Tech Shop specializes in splitboards and longboards. If you don’t already know, splitboards are cool as hell. (Nate Braks will confirm this.) Boardworks has a YouTube channel showing off their downhill skate team as well as their workshop. If you check it out, you can watch Johnny Lupo, the shop’s owner, explain how he cuts snowboards in half to create custom splitboards. … to full-length promo videos. Enjoy, enjoy, enjoy…! 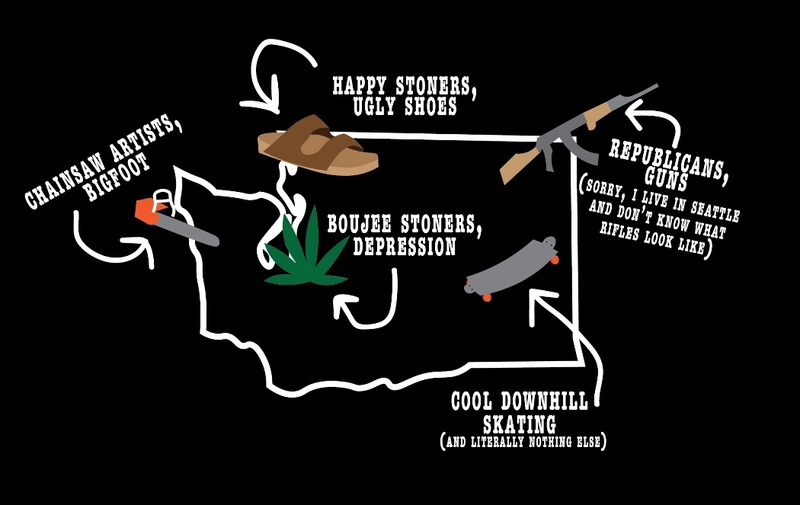 So if you’re in town, check out the skateshop that’s doing its part to make Bellingham an even cooler place. They’ve got Claudia the Intern’s stamp of approval.